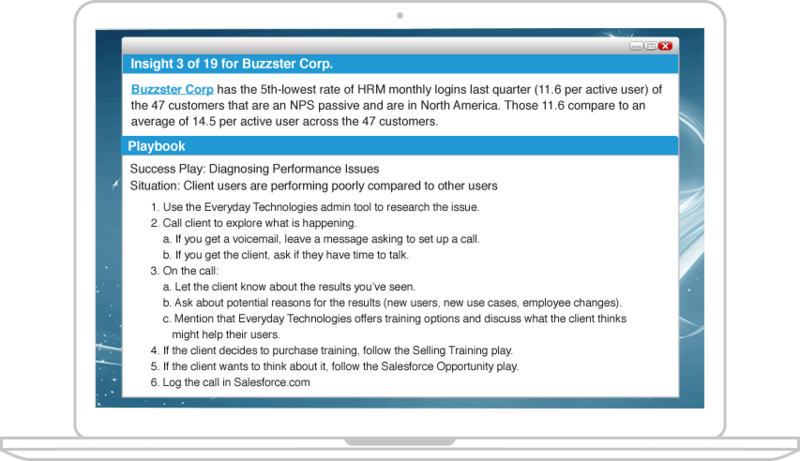 Supercharge Your Customer Engagement to Retain and Grow Customers. 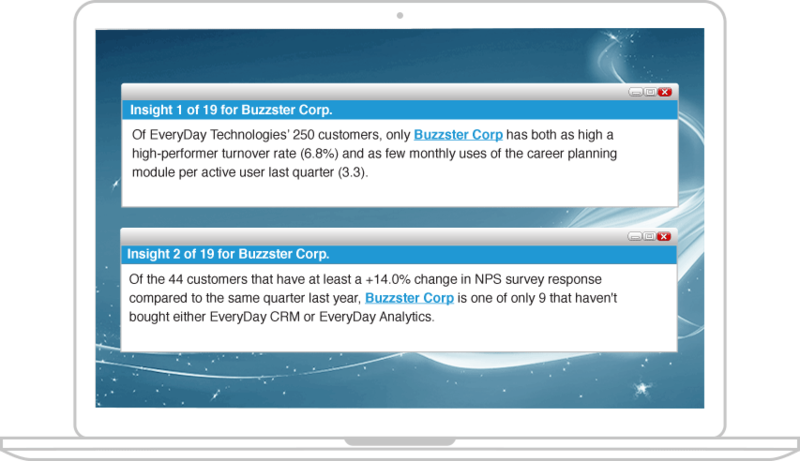 With OnlyBoth’s software, your Customer Success Managers will instantly get the unique insights that motivate SaaS customers to continually improve in many ways. Your customers will gain better outcomes and more value, and you'll improve customer health. OnlyBoth’s cloud-based software uses artificial intelligence to automatically do the searching, analysis and reporting for you. You don’t need to know where to look, how to look or spend time looking in your data. With the power of automation, you’ll get many more distinctive and deep comparative insights in seconds than you could get with many data scientists and months of effort. – Gartner, Cool Vendors in Analytics 2016. – Forbes, Automation Expands the Value of Benchmarking. Slicing/dicing and drilling-down through your data hoping for a good insight is so last year. 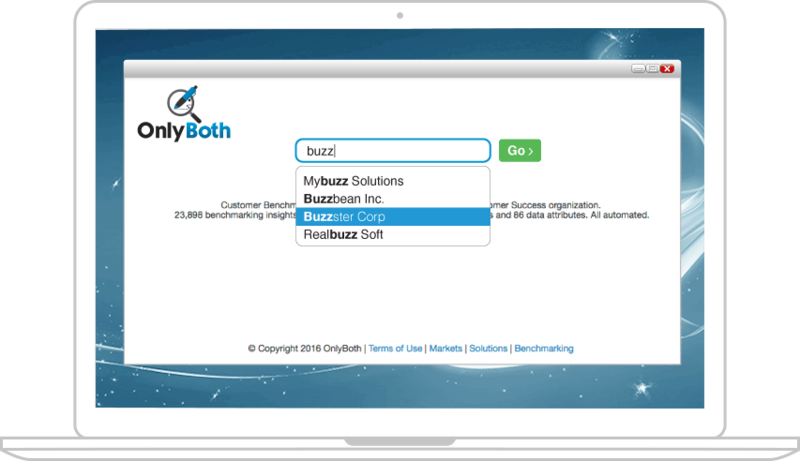 Just enter a customer name in OnlyBoth and get all their comparative insights instantly. Or enter the name of a person to get the most noteworthy insights across their assigned book of customers helping to focus attention where it matters most. 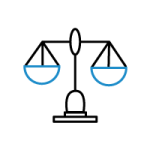 No longer do you need to decipher complex graphs, charts and visualizations to spot an insight. OnlyBoth writes the insights for you in plain, to-the-point English paragraphs, ready to share with others. Actions must follow insights to get better outcomes. OnlyBoth gives you the option to present the right recommended actions from your success playbook with each insight. You’ll be automatically guided to more success. Are you ready to take a test drive? Experience OnlyBoth in action. See how easy it is to find numerous, action-provoking comparative insights for each customer. Click on the Contact Us button and we’ll be in touch with you soon to schedule a demo or answer your questions. OnlyBoth provides the industry’s first commercial benchmarking engine, helping businesses offer comprehensive, automated benchmarking to their end-customers, based on their own solutions data. 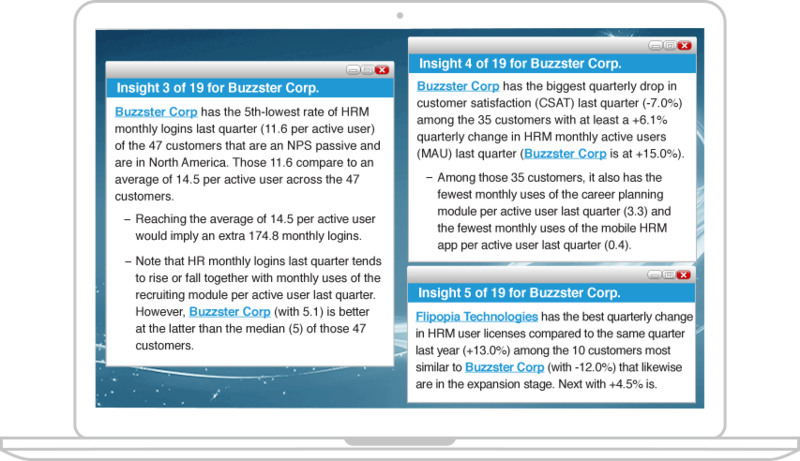 Our Benchmarking Engine relies on breakthrough artificial intelligence to automatically search, analyze and write comparative insights that enable organizations to identify areas for improvement and unique differentiators. OnlyBoth technology is transforming how organizations do comparative analysis across any data set, from customers to stores, branches, employees and other entities.